When it comes to gigantic, elaborate celebrations where you can drink and eat while coated in face paint, Los Angeles simply can’t be beat. 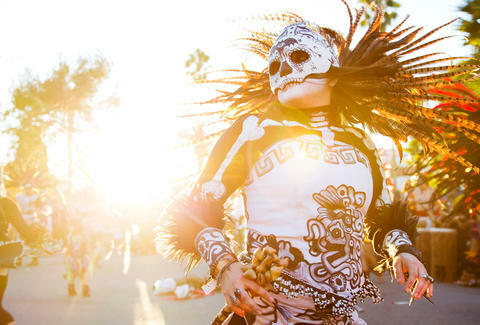 Add in the city’s inherent Mexican culture, and that makes the Day of the Dead a crucial part of LA’s event calendar. It’s a time to honor the deceased by means of parades, calavera makeup, sweet treats, and homemade altars. While the pageantry may seem at odds with the serious themes, respectful remembrance of the dead can certainly include a celebration of life. Here's your guide to everything you absolutely must see and do over this year’s holiday. Don’t mistake The Day of the Dead for Halloween. The celebration is much more, an indigenous tradition that dates back thousands of years in Mexico, offering a healthy perspective on the afterlife. Over the course of the multi-day event, friends and family gather around loved ones’ gravestones, even decorating them with intricate patterns out of carpets and flowers. Concerts and parades are commonplace as are the calacas (skeleton costumes) and sugar skull makeup. Find your preferred neighborhood below. This historic district, El Pueblo, is where Los Angeles was first born as a city and still serves as a hub of Latino culture. The Olvera Street marketplace paints a romanticized portrait of Old Los Angeles filled with adobe decor, zig-zagging brick walkways, and outdoor cafes where it’d be impossible not to catch a waft of carnitas from nearby taco stands. It draws millions of visitors throughout the year and is especially busy on occasions like Mexican Independence Day, Cinco de Mayo, and, of course, Dia de los Muertos. Olvera Street hosts a procession and blessing each night of Dia de los Muertos -- the candlelit Novenario is a tradition that predates Columbus -- with free pan de muerto (sweet bread) and champurrado (a thick chocolate drink) served afterward. The processions lead up to a two-day festival on November 1-2 that delivers with street performers, Aztec dancers, ornate altars, and mariachis aplenty. Be prepared to see a legion of skeleton-costumed revelers who look like they could be sidekicks to David S. Pumpkins. Being so close to Union Station, Olvera Street can be conveniently reached by public transit (a phrase you will rarely hear with destinations in LA County) with the Metro’s gold, purple, and red lines running directly into the station. DASH buses connect downtown Los Angeles, Little Tokyo, Chinatown, and the financial district to El Pueblo with buses stopping every 10 minutes and costing only 25 cents. But I Insist on Driving! If you’re still planning to drive, then know street parking will be scarce during the festivities. The least expensive parking structure in the area is Gateway Plaza behind Union Station and is a 10-minute walk away. There are additional lots at the Metro Hotel, by the old post office, and on North Spring Street north of Cesar E. Chavez Avenue. You might not peg a cemetery as Angelenos’ favorite spot to set up a picnic and catch a movie, but they don’t call it “Hollyweird” for nothing. Admittedly, there is something special about watching a screening of Psycho while camped out next to Alfred Hitchcock’s gravestone. There’s no better way to raise spirits than to party alongside their final resting places, hence the cemetery’s annual tradition celebrating the Day of the Dead, now in its 18th year. General admission tickets are $20 with children under 8 and seniors getting in for free. Show up dressed in your finest calaca apparel, grab a churro, and peruse the art exhibits, crafts vendors, and 100+ altars to the deceased. This year’s celebration will pay tribute to Mexican artist Jose Guadalupe Posada, who over a century ago created the sombrero-ed skull symbols that have become foundational artwork for the holiday. The music headliner is Colombian rock act Aterciopelados, recognized as a top global band by Time back in 2006 alongside U2 and The Rolling Stones. Avoid neighborhood street parking in favor of the designated lots and structures lining the east, south, and west sides of the cemetery. Self Help Graphics & Art serves as East LA’s cultural arts center promoting Chicano and Latino printmakers. For 44 years, the center has hosted the longest-running -- and free -- Dia de los Muertos celebration in the country. The procession meets at Mariachi Plaza and culminates with a traditional blessing, musical performances, food, and craft vendors. Self Help’s featured exhibit “Dia de los Muertos: A Cultural Legacy, Past, Present & Future” explores the evolution of the Mexican tradition with altars by Ofelia Esparza, Gerardo “Acamonchi” Yepiz, and Marcus Kuiland-Nazario, as well as photographs & prints from the gallery’s 40-plus years. 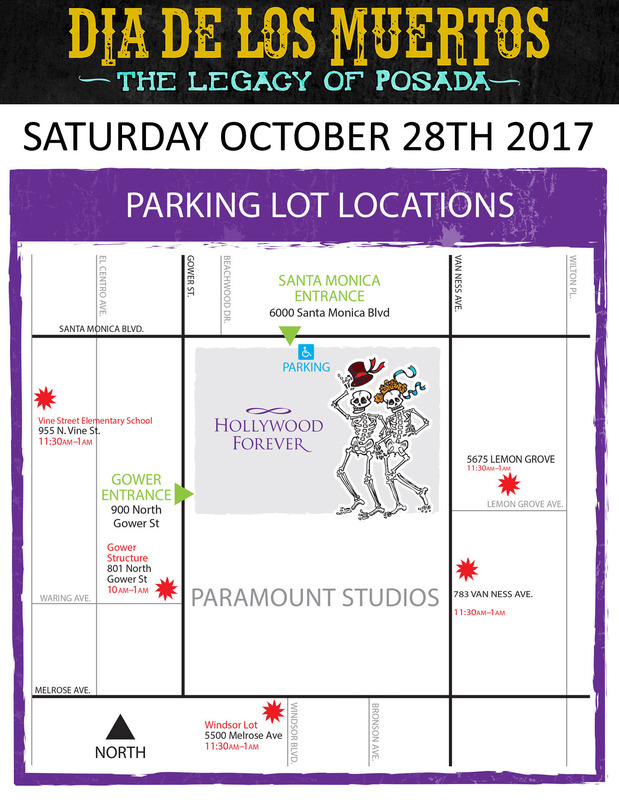 With limited paid parking on site, your best bet would be to rideshare or take the Metro gold line to the Pico/Aliso stop. A spot that belongs on everyone’s Latino bucket list, Guelaguetza provides some of the best mole available on this side of the border. Its menu, packed with an array of dark chile sauces, has earned high praise from the James Beard Foundation and food critic Jonathan Gold alike. Don’t sleep on the vast selection of mezcals and tequilas on offer as well. One of the newest taco hotspots in town, Sonoratown provides a quick and easy stop for genuine Mexican cuisine. The menu is streamlined -- tacos, quesadillas, vampiros, and chimichangas -- featuring meats and tortillas grilled over mesquite wood. La Monarca’s founders grew up enjoying Mexican household staples like cakes, pastries, and breads, so who better to share them with than you, the hungry festival-goer? Feed your need for sweets with a slice of tres leches or horchata cake unless you’re looking for more substance in the form of a chipotle beef machaca torta. La Casita Mexicana was onto the pumpkin-flavor trend well before a certain coffee chain drilled it into the ground. The restaurant’s candied pumpkin tamales capture the essence of fall in rural Jalisco. 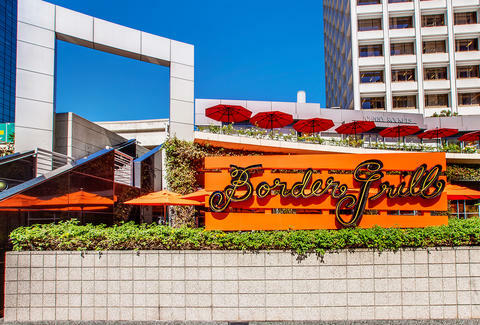 Mary Sue Milliken and Susan Feniger have been repping Mexico with Border Grill since 1985, first on Melrose, and now across LA. The restaurant cooks up flavorful Oaxacan and Yucatan dishes including ceviches, skirt steak & corn, and homemade tamales. October 31 happens to mark the championship round of their Taco Tuesday Street Food Fight. This family-owned panaderia has been in East LA for over 40 years. Come for the seasonal pan de muerto for Day of the Dead, then make a valiant return in January for the roscas de reyes. Sean Cooley is based in LA and covers food, travel, and events that occasionally include 300-foot Slip 'N Slides. Follow his spirit quest on Instagram.